You’ve booked your flights and chosen your hotel, now all you can think about is laying on the sandy white beaches of St. Lucia, soaking up the sunshine with a cold drink in hand. Though St. Lucia is a perfect vacation destination to sit back and just relax, there are so many exciting things that the island has to offer. So make sure you schedule some time and get out there and enjoy a one of a kind adventure on the island of St. Lucia. The Pitons, a world heritage site located near the town of Soufrière, offers some of the best views on the island. The Pitons consist of two mountainous volcanic plugs known as Gros Pitons and Petit Pitons. Gros Pitons is not only the larger of two at 26919ft but also the most popular to climb. Avid hikers may be able to make the trek themselves but due to the rocky terrain and subtlety of the trail, it is recommended that you find a tour guide that suits your needs. It is a difficult but invigorating climb that will most likely take the better part of your day, but the incredible views from the summit are like nothing you’ve ever seen before. Are you the adventurous type. Do you just love the thrill of life, well this ATV Tour in St. Lucia is just for you. Come and enjoy yourself in nature on this vast and beautiful island. This is the perfect way to escape the busy life you left behind for a week in paradise. Sign up for one of our tours on this amazing island. Experience the thrill of traveling through the rainforest on ATVs. No matter the time of year you visit, there is always plenty to see and a range of fruits to sample. Reservations are a must. Private tours are possible. Please email or call today. We look forward to seeing you in paradise soon. Do you just love the calmness of the Caribbean Sea, the way the boat sways, the wind blowing through your hair, then this St. Lucia excursion is for you. Stop for a swim and snorkel between the famous St. Lucia Pitons. Enjoy a 6-hour sunset cruise along the piton mountains of St. Lucia. Enjoy some drinks and hors-d’oeuvres with your friends and family as you watch the sunset set over the ocean. Are you ready to book your sunset cruise yet? Send us an email for more details. 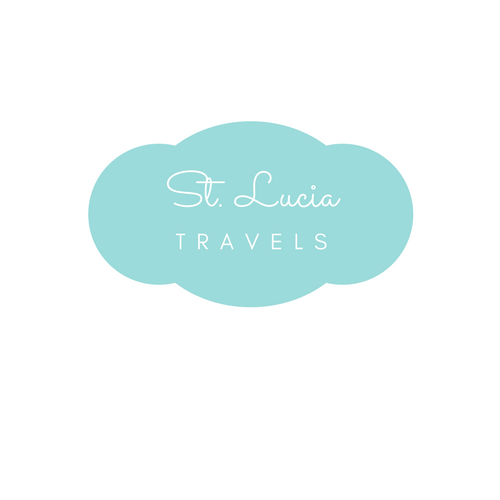 St. Lucia is known for lots of their natural resources, waterfalls, mineral falls rain forests, won’t it be great to just fit all of this into just one package. Well, guess what I have just made your day. Spend a day in St. Lucia where you get to take a nice warm mudbath, followed by a trip to one of the most beautiful waterfalls on the island, toraille waterfalls. You get to enjoy a savory meal for lunch at one of the beach resorts in St. Lucia, followed by a swim at one of three beaches( Anse Cochon, Anse Chastanet or Sugarbeach). Your hotel pickup is included in the stay depending on where you stay on the island. The volcano, known as the Soufrière volcano, may look as though it is ready to explode at any time but it is a known dormant volcano making it the world’s only drive-through volcano. If the possibility of standing next to a volcano isn’t enough to get you out there then the hot springs and healing mud baths should seal the deal. The Sulphur Springs is located right outside the volcano which has hot springs, with a definite smell of Sulphur in the air, and the mud baths that are known for their healing effects on skin conditions and even mosquito bites. This unique experience boasts coral reefs and tropical marine life that is accessible right from the Anse Chastanet beach. You can bring your own equipment or the nearby snorkel shack has some you can borrow. With over 150 species of tropical fish and coral reef surrounding the area you don’t have to venture much farther than the beach but there are boats available that can bring you to nearby reefs for a small fee. This is an adventure the entire family can enjoy and must highly be considered as one of many things you must do in St.Lucia. St.Lucia. End it with a magnificent sunset, and just relax and take in the sweet breeze of the ocean. St. Lucia is known for its beautiful coastlines, but don’t forget to take a trip to the lush and beautiful rainforests on the interior of the island. There are multiple tours available that suit everybody’s needs. The knowledgeable tour guides can point out and explain the tropical flora and fauna, specifically the ones that are native to the island. Cool down in one of the waterfalls and relax by a riverbed. A trek through the rainforests of St. Lucia is not an experience to be missed during your stay on the island. Rainforest hiking is very popular and you should consider adding it to your list as one of the things you must do in St.Lucia. Though the island is small enough that visitors can explore much of it during their one week stay, why not make your way to the sky to see it all in one day? It one of the things you must do in St.Lucia. Helicopter tours give visitors the chance to see everything from The Pitons, the beautiful coastline and the dense rainforest in one trip. Put your day in the hands of the very capable and extremely knowledgeable pilots who offer various flight durations with the best views of this incredibly beautiful island. Ziplining is one of the first things you must do in St.Lucia when you visit. St. Lucia offers something for everyone, and if you’re looking for something that will get your adrenaline pumping then ziplining through the island’s beautiful rainforest is just the adventure for you. With a maximum height of 150ft and a total length of 1500ft ziplining offers visitors the chance to see the rainforest as the birds do, from tree to tree. So zip your way through the rainforest for an adventure you’ll never forget. Here’s an adventure for the history buff in your group. One of the most important monuments of St. Lucian history, Pigeon Island Museum, gives visitors the chance to experience the history and culture of the island in a beautiful outdoor setting. This museum is open year-round and will also captivate everyone in the group. Between the military ruins, the beautiful beaches, the local cuisine, and the interpretive center (which describes the history of the island) this is a full day adventure that everyone will love. Not many people think of birds when they book their vacation to St. Lucia, but seeing as the island is an important destination for many bird watchers you should make time to stop and watch for the birds. St. Lucia has about 5-6 native birds on the island and one of the most popular is the St.Lucian Parrot. With a rainbow of plumage, a sighting of this native bird is not one to be missed. And along with about 170 different species on the island booking a bird watching tour is a great way to see the island and the animals who call it home. This 45-minute walk up the Tet Paul Nature Trail is close to Soufrière and a great hike for the entire family to enjoy. This trail boasts beautiful scenery and an easy to a moderately difficult path through the exotic horticulture of the island. Follow a local tour guide so you don’t miss out on the different species of both plants and animals as well as the rich history this area has to offer. Bring a packed lunch and enjoy it surrounded by the beauty of the island at the picnic area set up by the trail. St. Lucia is such an amazing island, with so much to explore. Here are more activities you can look into whiles on your travel to St.Lucia. Sign me up! I am definietly over this winter weather and ready for some fun in the sun! I’m pinning this for later, thanks! Then now is the perfect time to go. Pack your bags and get out of those winter blues. This looks so peaceful and relaxing! This is definitely going on my travel list! Great post! Thank you so much. Trust me you will not regret your visit. It is what I need right now…watching the rain outside… “laying on the sandy white beaches of St. Lucia, soaking up the sunshine with a cold drink in hand.” This place is on my bucket list! Thanks for the nice tips! Pack your bags. These sandy beaches are waiting for you. I have always wanted to visit St Lucia . I live next door In Barbados but sadly regional travel is still too expensive in my opinion. We should be able to island hop for a more reasonable price. I would definitely enjoy my visit there especially the nature trail . I agree!!! but you can always look fr great deals . You just have to keep your eyes open. So beautiful. I adding St. Lucia to my bucket list of places I have do to go to. This looks beautiful and fun! I might have to plan a trip here. Great post! I’m planning a trip to Jamaica for my 35th birthday. But, St. Lucia sounds amazing. I especially like he snorkeling and zip lining. I’m pinning your post. I’m considering a trip to St. Lucia so this is super helpful! I really loved St Lucia when I visited earlier this year. Now I’m planning to go back to try more experiences! Awww St Lucia is extremely beautiful. ok now i really want to go to st lucia… thanks for letting me know so much about this amazing place! !